Jordan Peele's 'Us': Are There Really Thousand of Miles of Hidden Tunnels All Across the Country? Jordan Peele’s ‘Us': Are There Really Thousand of Miles of Hidden Tunnels All Across the Country? 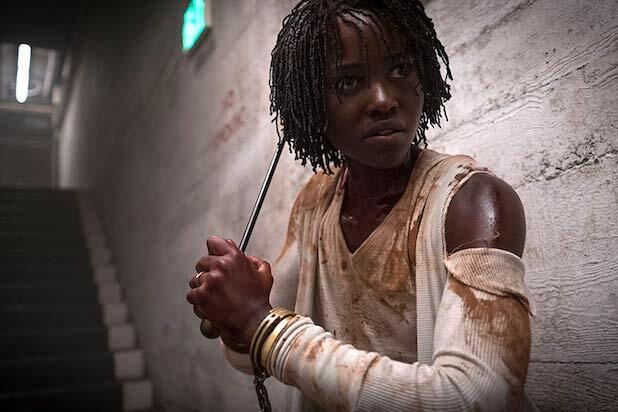 Jordan Peele’s “Us” opens with an unusual piece of trivia: Across the U.S., there are thousands of miles of underground tunnels that have been long forgotten. The film says they include abandoned subway tunnels, unused sewers or old mine shafts — and many have no clear purpose at all. If you haven’t seen “Us,” we won’t spoil why exactly that’s significant. But it’ll immediately make you wonder whether there’s a factual basis to the claim. Are there really a whole network of tunnels that people have just forgotten? Peele has had an answer for just about every other seemingly innocuous reference or image in the film, so where did he get this detail? One person who knows first-hand that Peele isn’t just making something up is Will Hunt, the author of the just-published book “Underground: A Human History of the Worlds Beneath Our Feet.” He’s explored many of the caves, tunnels and underground passageways that do exist across the U.S. along with many urban explorers, and he said the scope of these tunnels would surprise you. However, Peele imagines quite a universe in these underground tunnels — no spoilery details here. While Hunt didn’t consult with Peele and hasn’t seen “Us,” he knows the idea of the underground as a metaphor is ripe for a screenplay. Hunt noted that there’s substantial evidence that hundreds of people live in tunnels, just out view of regular society, in places ranging from Las Vegas to Moscow to Bucharest to New York City. He mentioned a “massive community” that was found underneath the Upper West Side of Manhattan between the ’80s and ’90s where people had “literally built homes out of wares salvaged from the surface.” Hunt said these people had water sources, generators and had siphoned electricity to get by. Also Read: Does Jordan Peele's 'Us' Have a Post-Credits Scene? Hunt is a journalist who earned the trust of the many urban explorers who document such tunnels and communities, but he said they typically pass along information only through oral tradition, and very few of these tunnels have ever been formally mapped or quantified. For a real-life account of mole people and the homeless who live in New York City, Hunt recommends the 2000 documentary “Dark Days.” But he said the idea of the underground representing the other and the unconscious of society is something that goes back generations and one that is great for fiction. Peele’s “Us” is in theaters now. Hunt’s book “Underground” is available now.